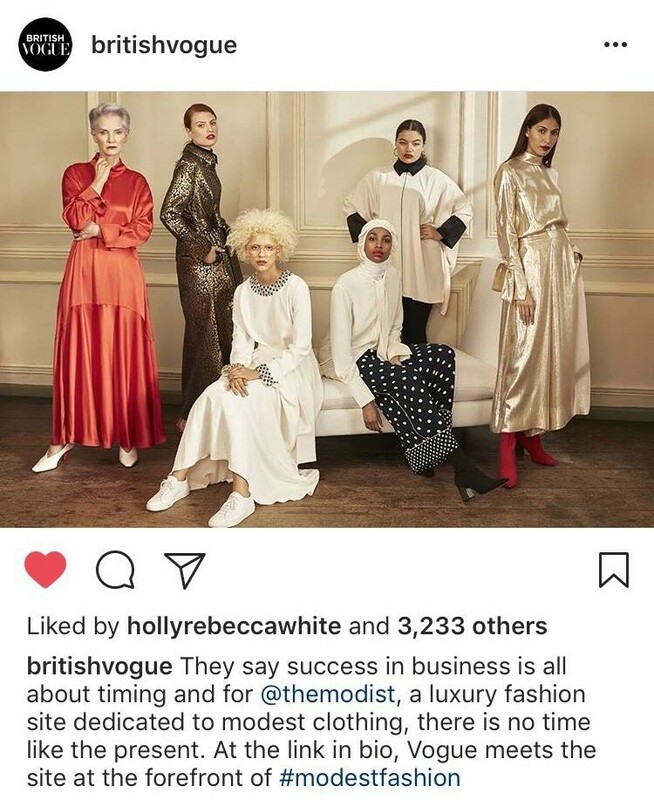 SOFIE - FOR THE MODIST & FEATURED IN VOGUE ! As you know, we, at IMM, really care about diversity and female empowerment ! & once again, we are proud to see one of ours gracing the lens for this very empowering campaign for this new fashion site: The Modist. WE ARE SO PROUD OF YOU SOFIE ! SOFIE's pretty face is so angelic ! "There are misconceptions about what modesty is. I think that when you speak about modesty, sometimes there are certain perceptions of what modesty is in a certain religion, certain region, particular age and particular look. The Modist wants to change those perceptions. Modesty can be so many different things, covered by so many different women. Modesty can be cool and beautiful and elegant and everything a woman wants."